The Nimzo-Indian is one of Black's most universally popular and respectable answers to 1 d4. It could be said that no other opening allows Black to play for a win from such a sound positional basis, while its flexibility gives rise to a multitude of different positions rich in tactical and positional play. The list of Nimzo-Indian admirers runs like a who's who of the chess world: Garry Kasparov, Vladimir Kramnik, Vishy Anand, Anatoly Karpov, and Michael Adams are just a handful of top Grandmasters who have utilized it with great effect. With the Nimzo-Indian being such a fashionable opening, some Black players are put off by the possibility of having to learn a labyrinth of different variations. However, in Play the Nimzo-Indian, Edward Dearing solves this problem by constructing a concise and workable repertoire for Black, offering a solution against each of White's tries, whether it's a critical main line or a tricky side variation. 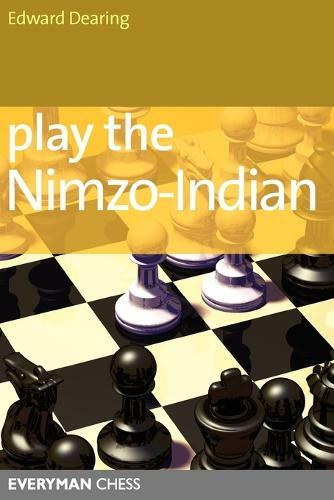 Readers will gain the necessary knowledge and confidence to begin playing the Nimzo-Indian in their games.